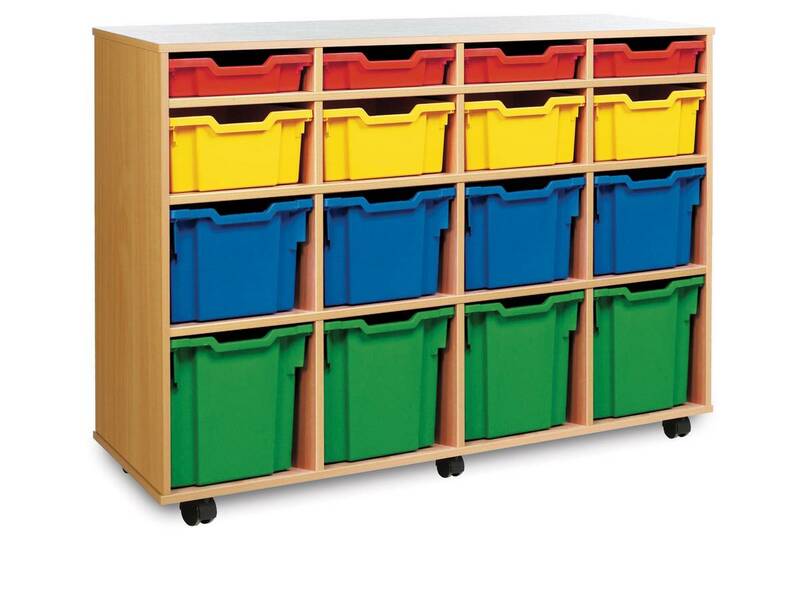 16 Variety Tray Storage units - 4 shallow, 4 deep and 4 extra deep trays - 4 columns of 4. 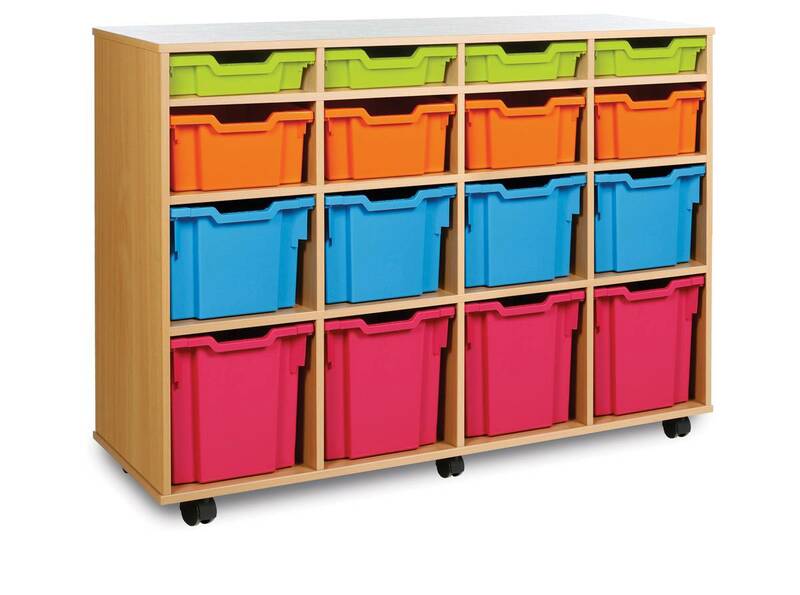 Tray storage available in Beech or Maple MFC. Delivered assembled, complete with castors and trays.